When you run a business, you have to take care of everything including the security of all offices and other facilities that you use. It all begins with the right locks and the proper care for them. Count on us to install, repair and replace commercial locks of all types and brands. Our company is a leading provider of commercial services with many years of experience. With us, you get 24-hour emergency locksmith assistance for perfect peace of mind. We offer a wide range of professional solutions designed to improve the security of business buildings. In a hectic work environment, office lockouts are not uncommon at all. The most common causes of the problem include lost and broken keys and faulty locks. Share the issue with us and you will get the fastest possible resolution no matter what time of the day it is. Our lockout opening techniques are completely safe as well as effective and quick. You will have access to your office in no time. Then the core cause of the problem will be dealt with. The solution in case of key loss involves lock rekey and the provision of new keys. The rekeying is done to ensure that no one will be able to use the old key to get inside your office. It is certainly not wise to wait for a lockout or another kind of accident to occur when you notice that a lock is malfunctioning. Let us fix it swiftly. Our technicians are experts even when it comes to the most sophisticated security door locks. The cause of the problem is found with careful inspection and testing and then eliminated with the most effective technique. Only the best precision tools and spare parts are used for achieving the desired result without wasting any time. 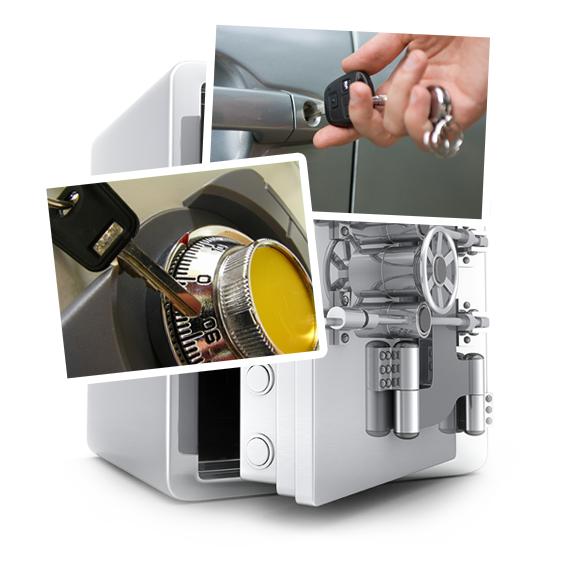 After the lock repair process is complete, you will have a perfectly functioning device and enjoy optimal security. In case a lock fails or gets damaged beyond repair, rely on us to replace it quickly with a new one of the highest quality. Hire us, at "Locksmith Palos Hills", for planned replacement as well. This is the better option as it helps to reduce the risk of accidents to the minimum. Furthermore, the level of security will be kept high at all times when the locksets are upgraded regularly. With us, you will get more than just technical lock replacement. You will receive detailed professional advice on choosing the best devices for your commercial building. We are specialists in the setup of master key systems as well. Expect perfect work in every respect and quick completion of the project. Leave us a note via our website to make an enquiry and get a detailed estimate quickly.